A lovely collection of vintage Betty Crocker cookbooks. This set includes the famous “Red pie” cover Betty Crocker cookbook and Betty Crocker’s picture book. Both are first editions. With summer around the corner that Hamburger cookbook is perfect for getting those perfectly sized and seasoned hamburgers. The Best of Baking is a later edition, early 1990’s, rounds off the vintage Crocker collection. 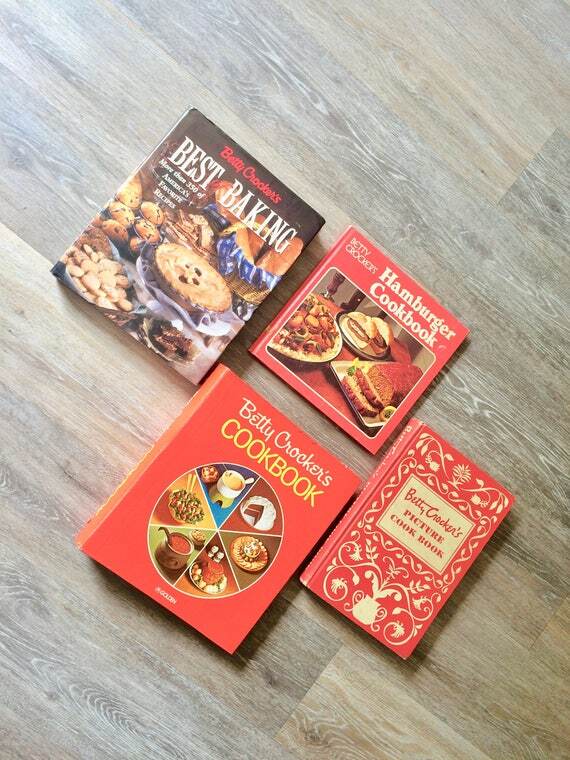 Read my post on collecting Betty Crocker books.